Welcome Georgia Southern University Group Travelers! Group Travel Specialists…One Call Does It All! 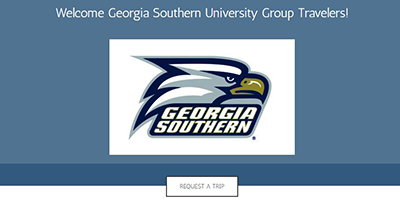 Kelly Tours is excited to partner with Georgia Southern to provide all of your transportation needs! 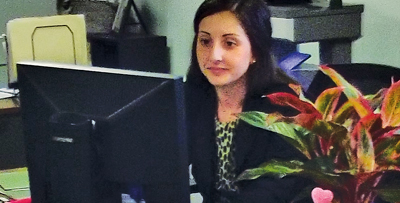 airline reservations, activity reservations, meal planning and reservations, and special requests. Call, email or fill out an online form and a Group Travel Agent will begin working on the trip. Kelly Tours is a full-service group travel agency and will make all of the reservations including bus charters, airline reservations, lodging and accommodations, meals, and activity reservations. For review, an initial itinerary will be built into our online group travel software, Tour Store. 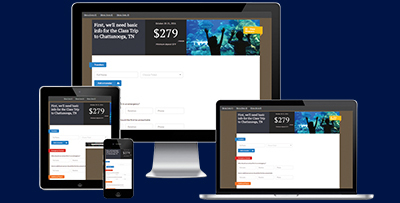 Trip leaders can login to view estimated costs, a sample schedule and Kelly Tours’ suggestions for all components of the trip along with any special requests. Travelers will sign up through Tour Store and provide all required information. 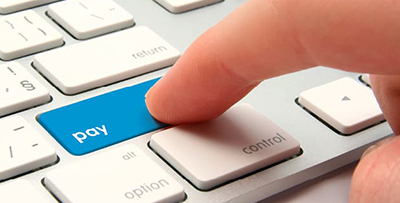 This can be accessed by the trip leader in real-time to review traveler’s information, create rooming and bus lists. This information can be duplicated for future trips, for time savings. 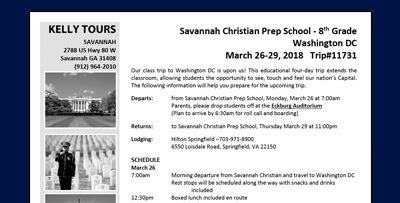 Confirmation of all trip details is provided via PDF itinerary that can be emailed directly, printed, or broadcast emailed with one click through Tour Store to all travelers. Information includes departure times, hotel phone numbers, what to bring and any other special requests. You and your travelers can enjoy the trip knowing that Kelly Tours has handled all of the details. If unforeseen circumstances do arise, a Kelly Tours staff member will be on hand twenty-four hours seven days a week to correct it and ensure your group is taken care of. Upon the trips return, detailed invoicing will be provided including: trip manifests, contracts and receipts for each trip component for the trip leader’s review. Kelly Tours will invoice GSU’s Accounting department directly for net 30 payments.